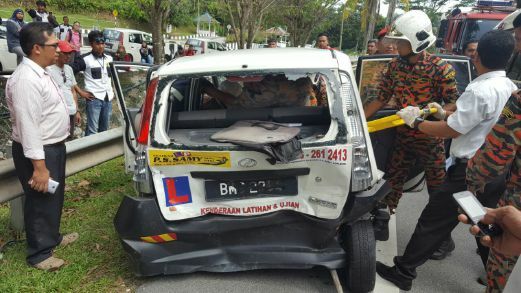 On January 4, a driving instructor and his trainee were involved in a horrific accident at KM 1.5 of Jalan Ampang Pecah. The incident happened at 2.45 pm on Wednesday. 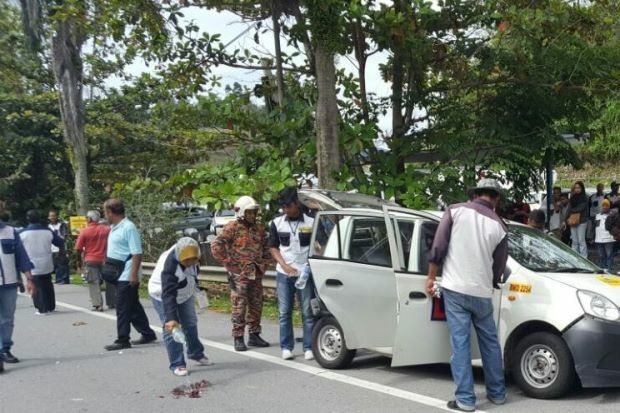 The 45-year-old driving instructor, Zainal Azman Mohd Nadzir was sitting at the passenger seat while the student was behind the wheel when the accident happened, according to The Star. The instructor was severely injured while the trainee sustained minor injuries. Both of them were in a Perodua Viva that belonged to the driving school. Hulu Selangor OCPD Supt R. Supramaniam said that the duo had just exited the driving school and was going into the main road. That was when another Perodua Viva coming from Kuala Kubu Bharu Township rear-ended their car. “The instructor was severely injured in the crash and was rushed to Hospital Kuala Kubu Bharu for treatment. He was pronounced dead at 4 pm,” said Supramaniam. According to Kuala Kubu Bharu fire station head Kamil Hamadan, they received a distress call regarding the accident at 2.50 pm and immediately deployed a team of fireman to the scene. 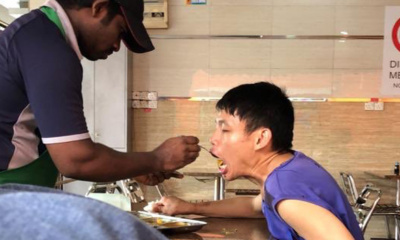 The driving instructor’s car was so badly damaged that it took the team 10 minutes just to get Zainal out of his seat, NST reported. 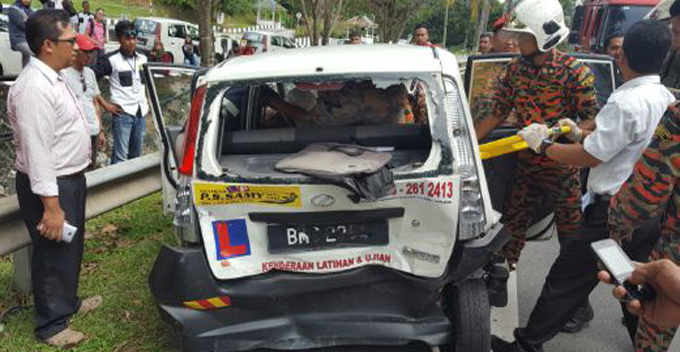 It was a head-on collision by the other Perodua Viva that caused the driving instructor’s car to sustain heavy damage to the car trunk, among other damages incurred in the accident. However, the 34-year-old driver in the other Perodua Viva escaped unhurt. Police have classified the case under Section 41(1) of the Road Transport Act 1987, NST reported. It’s sad that the driving instructor had to pay with his life due to someone else’s fault.